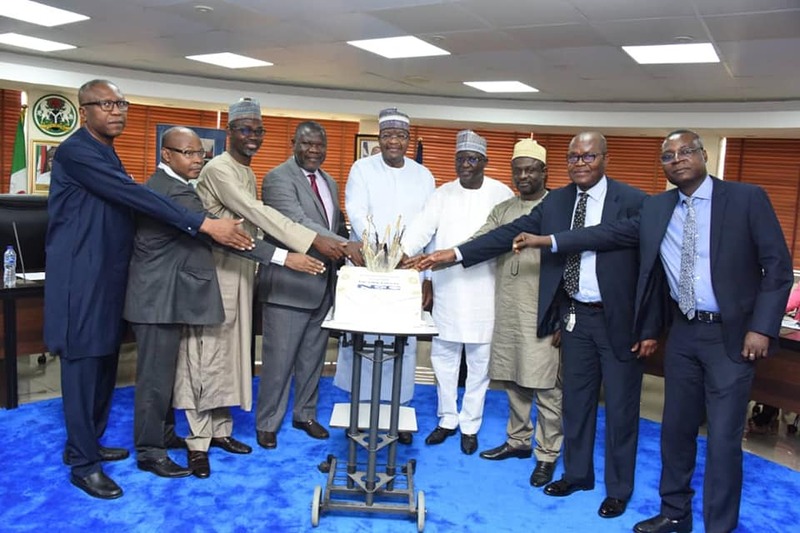 Twelve top officials of Nigerian Communications Commission (NCC) including Nnamdi Nwokike, newly-appointed spokesman and Dr. Kafilu Danbatta, Head Next Generation Technologies and Standardization, today begin terminal leaves marking their exit from the telecoms regulatory agency. NCC says the 12 top officials are retiring from the agency and will begin a terminal leave today marking the process of their retirement. Professor Umar Garba Danbatta, Executive Vice Chairman and Chief Executive, NCC, left, in handshake with Nnamdi Nwokike, outgoing Director Public Affairs, NCC.